With Readly you can read Teach Yourself Fine Art Photography and thousands of other magazines on your tablet and smartphone. Get access to all with just one subscription. New releases and back issues – all included. 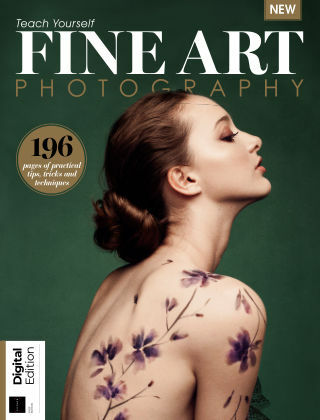 "Fine art photography is one of the most difficult genres to define. Everyone has their own interpretation and that is what makes it an incredibly exciting genre. It all begins with a concept. Fine art photography is a way of expressing a message or emotion. It is a way of pushing boundaries and creating more than just a photograph, and a way of creating a piece of art that would not look out of place on the wall of a gallery. Teach Yourself Fine Art Photography introduces you to the idea of fine art photography and explains how to go from concept to execution. Discover how to refine your compositions, shoot stunningly striking black and white imagery, impactful portraits and tasteful nudes. Learn from the informative features and follow the in-depth shooting and editing tutorials that will help you to produce high-quality professional looking captures. If that wasn’t enough, hear from four experienced photographers about why they got into the genre and how they develop and produce a successful body of work. Inside you'll find: - What is fine art photography? - How to shoot fine art black and white	- Learn how to shoot portraits with impact	- Shoot still life like a pro	- Refine the frame	- Pro skills for shooting the body	- The essential guide to artistic nudes - Projects - Artistic architecture	- Conceptual portraits	- Striking landscapes	- Fine art nudes	- Still life	- Fine art flowers	- Capture a moody mono seascape	- Interviews Paul Sanders	- Valda Bailey - Rikard Österlund	- Paul Kenny	"